Pulitzer Prize-winner Bernard Malamud is most renowned for his brilliant, lyrical short stories, often set in Jewish ghettoes and written in a pastiche of Yiddish-English. 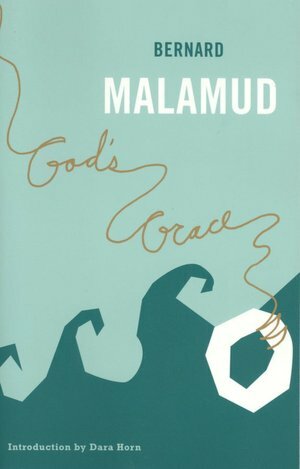 "God's Grace" is a full-length novel, and like all Malamud's work deals with immense issues in microcosm. Cohn, the lone survivor of a nuclear holocaust, wakes adrift in a boat with only a trained chimpanzee, Buz, for company. Cohn and Buz make their way to a deserted, uninhabited Eden-like island. Buz has been modified by his previous owner, a scientist, and fitted with a voice box. Cohn reconnects the dangling wires and the chimp begins to speak fluently, and fortuitously, in English. Soon other animals, all primates, begin to come to the island, and Cohn names them and tries to create morally sustainable, peaceable society, but he is unable to control competition and jealousy. Eventually he mates with the female and she produces a half-ape half-human child. Ultimately Cohn is unable to maintain the moral basis in his private life and since his 'creations\ have free will, they rebel against his authority. "God's Grace" is a hugely imaginative, scholarly and thought-provoking meditation on a creator's relationship with his creation. Bernard Malamud was born on April 26, 1914, in Brooklyn, New York. Malamud began writing while still in school at Erasmus High, publishing his first story in the school literary magazine. He attended the City College of New York, receiving a B.A. in 1936, following with a master's in literature from Columbia University. He took a teaching position at Erasmus, but in 1949 was offered a teaching position at the University of Oregon, where he remained for twelve years. It was there that Malamud published his first four novels. Then in 1961, he became a professor at Bennington College and spent the remainder of his teaching career there. Maladmud is most renowned for his short stories, oblique allegories often set in a dreamlike urban ghetto of immigrant Jews. His prose, like his settings, is an artful parody of Yiddish-English locutions, punctuated by sudden lyricism. Malamud’s first novel The Natural, published in 1952, is about a superhumanly baseball player who goes on an exploration of the Grail myth. Later the novel was made into a movie starring Robert Redford. The Magic Barrel (1958) won a National Book Award and established him as one of the best short-story writers. The Fixer, his best-known novel, won the National Book Award in 1966 and the Pulitzer Prize for Fiction. Among his other novels were The Assistant (1957), set in a Jewish grocer in New York, and Dubin’s Lives (1979), a powerful evocation of middle age which uses biography to re-create the narrative richness of its protagonists’ lives. 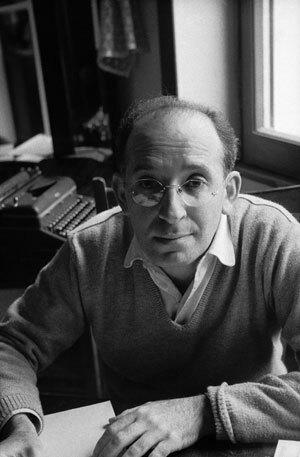 Malamud died on March 18, 1986. His daughter, Janna Malamud Smith, relates her memories of her father in her memoir, My Father is a Book. How to learn speed reading?